Aromatic fennel and tarragon balance the sweet citrus in this Fennel & Orange Salad, while pistachios bring a wonderful crunch to the mix. Whisk together orange juice, lemon juice, oil, and tarragon for the vinaigrette; season with salt and pepper. 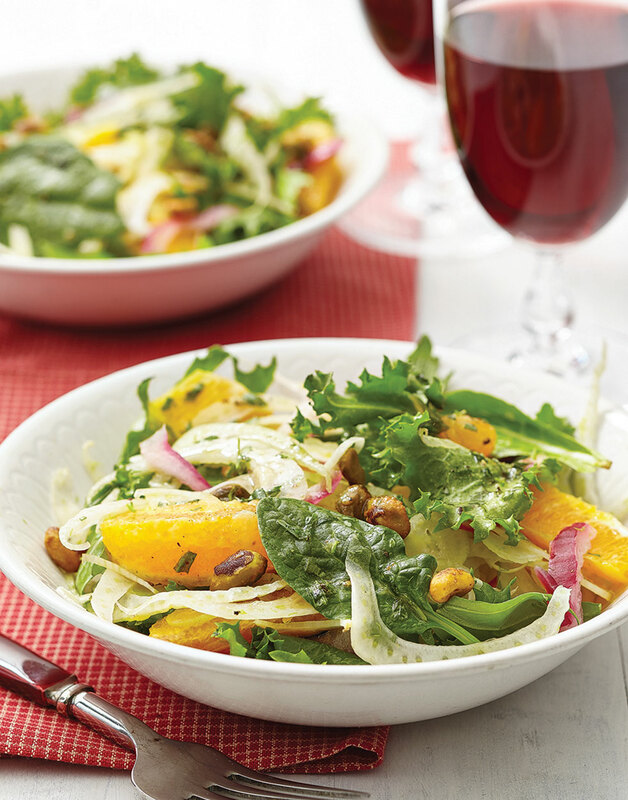 Toss salad greens, fennel, orange segments, onion, and pistachios with vinaigrette.